m.1970's. 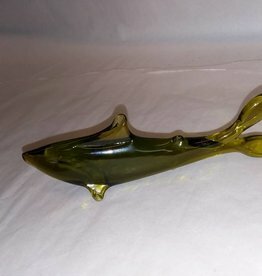 "Cut Ice" Fish Vase w/squared sides. Mdina Glass from Malta. Unsigned. 8" tall. Excellent condition. L.1970's. 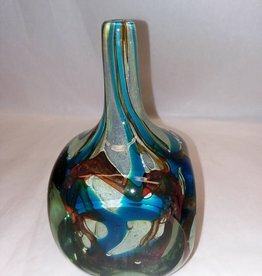 Mdina glass Ming-type vase. Blue/Green. Signed Mdina on bottom. Malta. 5.75” high. 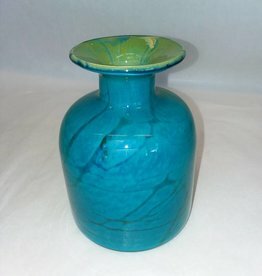 Mdina Art Glass Signed Vase w/Applied Ridges, Blue/Green, Malta, 5.75" L.1970's. L.1970's. 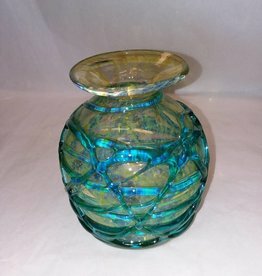 Mdina Glass Vase from Malta. 2" flattened top. Sandy cream/brown. Unsigned. 4.5"
E.1970's. 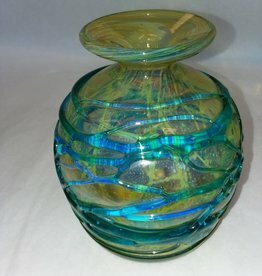 Mdina Glass Cylindrical Vase. Tooled Blue/Green swirls . Malta. Unsigned. Excellent condition & very vibrant colors. 6.75” high. M. 1970's. 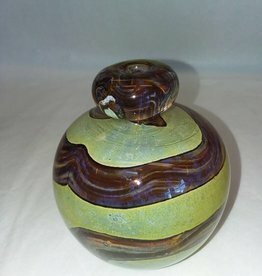 Mdina Glass Blob-top Vase from Malta. Sandy cream & Brown. Unsigned. 4”H. M.1970's. 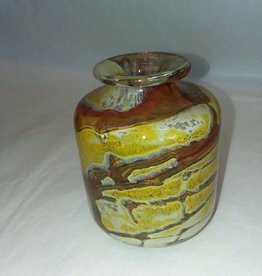 Mdina Vase w/Applied Ridges from Malta. 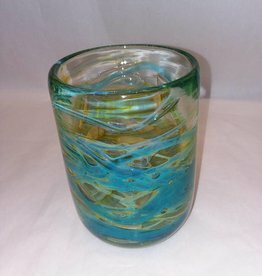 Blue/Green ridges applied to yellow glass. Unsigned. Very nice colors & condition. 5.5” High. E.1900's. 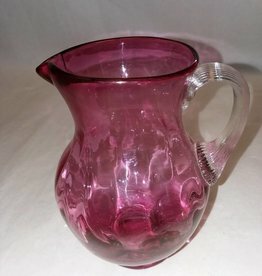 Cranberry art glass pitcher. 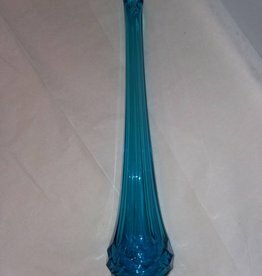 Possibly Fenton, but no markings, so not sure. Very nice color and condition. 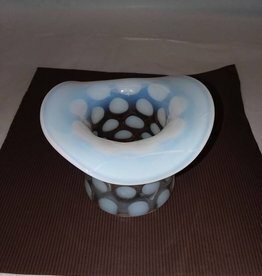 4.75" high. E.1900's. 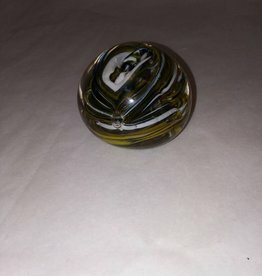 Swirled colored glass paperweight. Very nice condition & colors. 2.5" diameter.